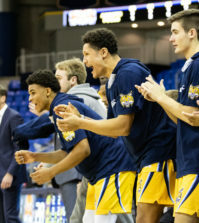 With Saturday’s 71-60 victory over Fairleigh Dickinson, the Quinnipiac men’s basketball team now turns its attention toward its ultimate goal – to win the NEC Tournament and earn a trip to the NCAA March Madness tournament. The Bobcats’ first test comes Thursday when they face No. 7 seed Mount St. Mary’s at TD Bank Sports Center. 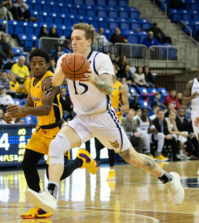 The Mount gave the Bobcats trouble this year, defeating them once 72-63, and nearly beating them in the NEC opener at the Bank before Johnson took control of the final minute to propel Quinnipiac to a 77-75 victory. But the Bobcats enter the tournament winning nine of their last 10 games, and are at full strength with a healthy Justin Rutty, giving them a high level of confidence entering the playoffs. The Bobcats are without the No. 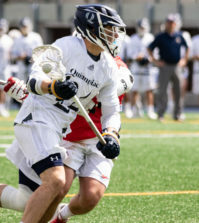 1 seed like last year, and graduated a big wing scorer in James Feldeine, but head coach Tom Moore said he feels no difference from last year’s team heading into the playoffs, and that it may in fact be better. Looking ahead at the whole tournament, a win on Thursday could present an intriguing matchup for a Sunday semifinal at the Bank. 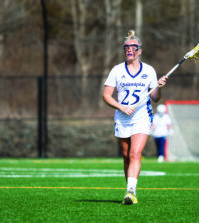 If Quinnipiac and Robert Morris both win, a rematch of last year’s NEC Championship will take place.